I needed OCUM 6.1 in my lab to test. I’ve got a vSphere ESXi 5.5U1 standalone host and a vCenter Server 5.5U1 (5.5U1 is not actually supported yet, the Installation and Setup Guide only goes up to ESXi 5.5 and vCenter 5.1!) Remember, OCUM 6.1 is free, no license is required! *4 GB is the minimum recommended, it will install on 1 GB though! For my lab - which is all running in VMware Workstation, including the ESXi host - I’ll give the ESXi host 12 GB RAM, 2 CPU cores, 4 GB Disk Space - for the ESXi install - plus a 50 GB thin-provisioned disk for OCUM 6.1. And for OCUM 6.1 - 8 GB RAM (keeping the reservation on), 2 CPU cores (no reservation), and use thin provisioning. The details are as in the image below. The choice is: Thick Provision Lazy Zeroed, Thick Provision Eager Zeroed or Thin Provision. If all’s good you’ll be rewarded with “Deployment Completed Successfully”. For a lab environment, you may want to adjust the OCUM 6.1 VM’s Virtual Machine Properties. 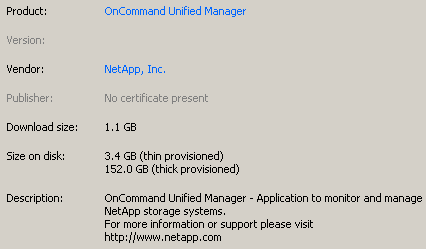 Out of the box, OCUM 6.1 is configured with 12 GB memory and 4 CPUs. It also comes with a CPU reservation of 9572 MHz and Memory reservation of 12288 MB. Click the ‘Power On’ button to boot the OCUM 6.1 VM Appliance. Note: On first boot, the VMware Tools will automatically configure and update. First prompt is for the ‘Geographic area’, enter as appropriate. Then you will be prompted for the ‘Time zone’, enter as appropriate. 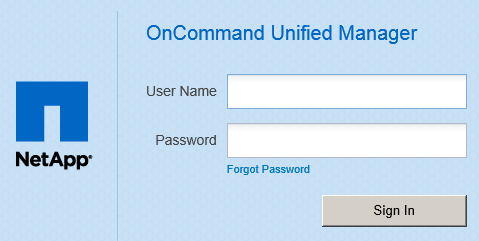 The next prompt is for the username and password for the new maintenance user. And that’s it, we’ve deployed OCUM 6.1! And can get to the login box via an internet browser at https://OCUM_IP_ADDRESS! Can't wait to see your Performance Manager integration and WFA ! Which OS version OCUM 6.1 is running? Windows or Linux? 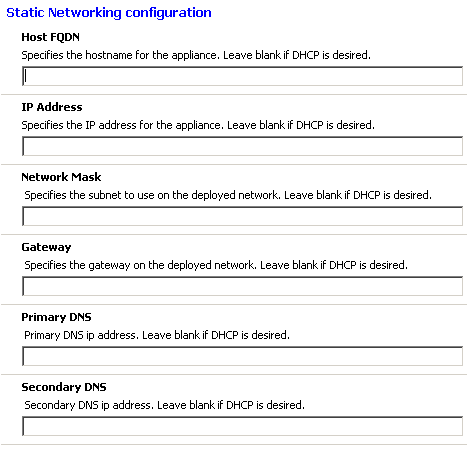 6.1 is Virtual appliance. It is downloaded as a vShere image to be deployed to VMWare.